Hajek, 21, became the sixth player 21 or younger to play for the Rangers this season, matching the number set in the 1989-90 season. Rookie defenseman Libor Hajek made his NHL debut for the Rangers in Friday night’s 4-2 loss to the Canadiens at the Garden. 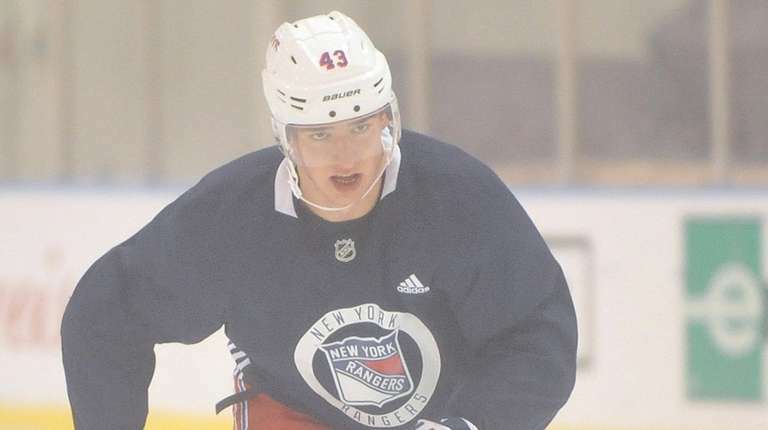 Hajek, 21, who was called up from Hartford (AHL) on Thursday, became the sixth player age 21 or younger to play for the Rangers this season, matching the team mark set in the 1989-90 season. Hajek struggled in Hartford but certainly didn’t look out of place in his first NHL game. He looked composed, played a strong 17:35 and drew praise afterward. Hajek admitted that while he may have looked calm, cool and collected, he was plenty nervous. Hajek, a first-year pro, had no goals and five assists in 58 games for the Wolf Pack. His minus-26 rating was the worst on the team. D Freddie Claesson came out of the lineup to make room for Hajek . . . Rookie F Filip Chytil, Hajek’s fellow Czech and good friend, was a healthy scratch.